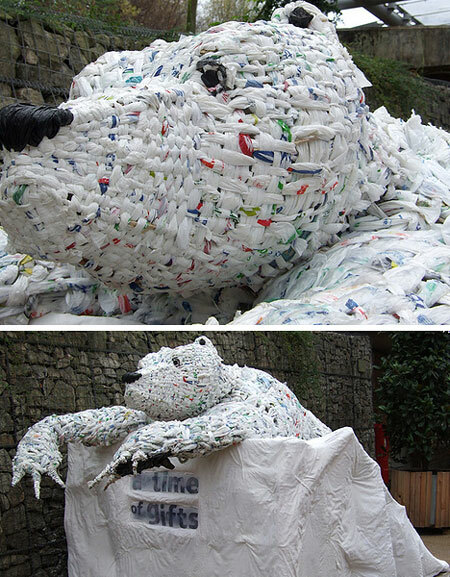 Plastic bag is always considered as a threat to environment. 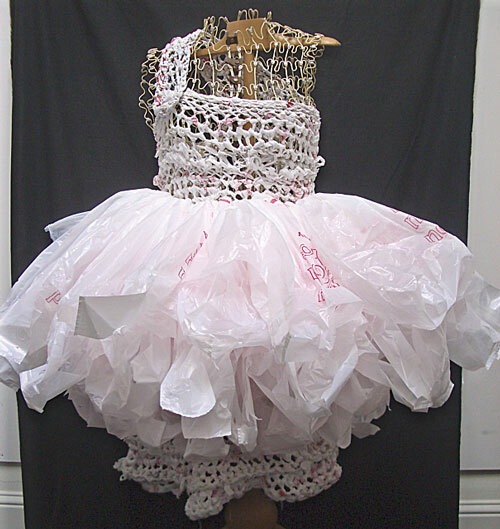 Hence some creative people just come up with some brilliant ideas to repuoposing plastic bag. 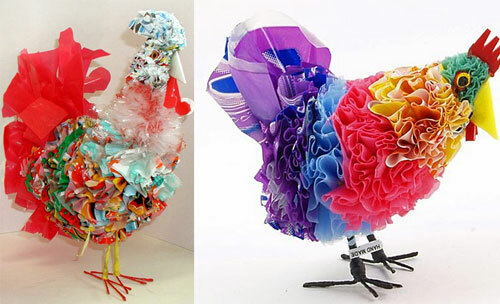 Check following products, here are 18 creative objects made entirely from these evil fluttery pieces of grocery-carrying plastic. They may not be things we are all capable of making, but at least they are cool to look at. 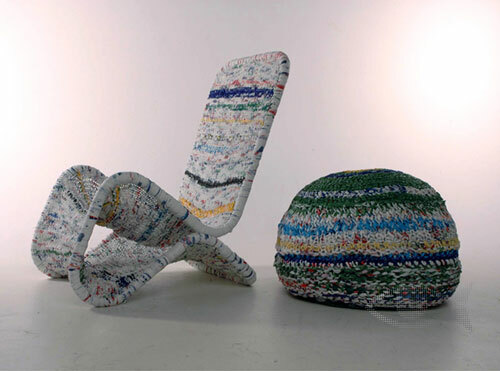 Inkuku is a chair made entirely from plastic shopping bags combining traditional craft techniques and recycled material. 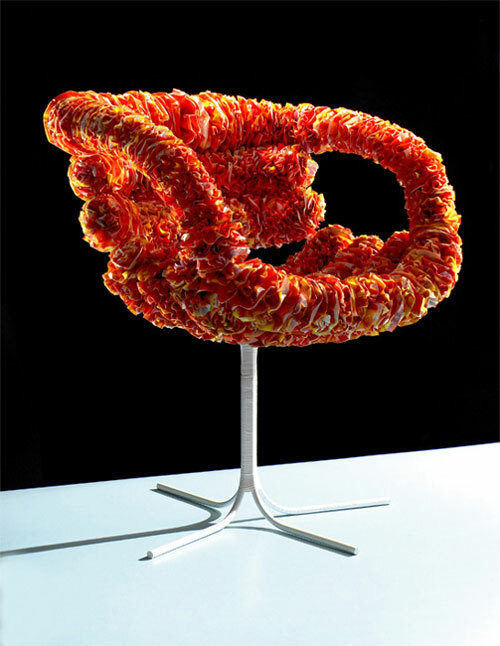 The inspiration for the design has been taken from a South African crafted chicken ornament. The flowers were made out of old shopping bags, then attached some to solar panels with little motors. Those flowers will spin when the sun hits them, and the display will be interactive because passersby will be able to stop the spinning by blocking the light. 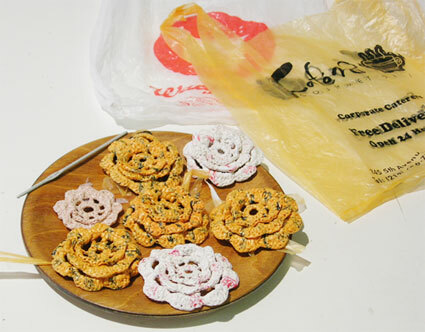 Inga use cheaper quality supermarket bags for knitting and crochet. This doesn’t look like plastic bag to me at all. The lightweight boots are made from multiple layers of the plastic fused together for strength and yet provide flexibility. 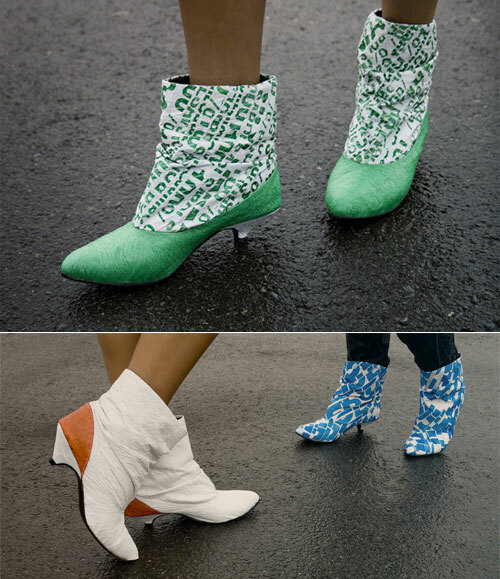 For walking comfort, the interior of the footwear is lined with quilted cotton fabric. 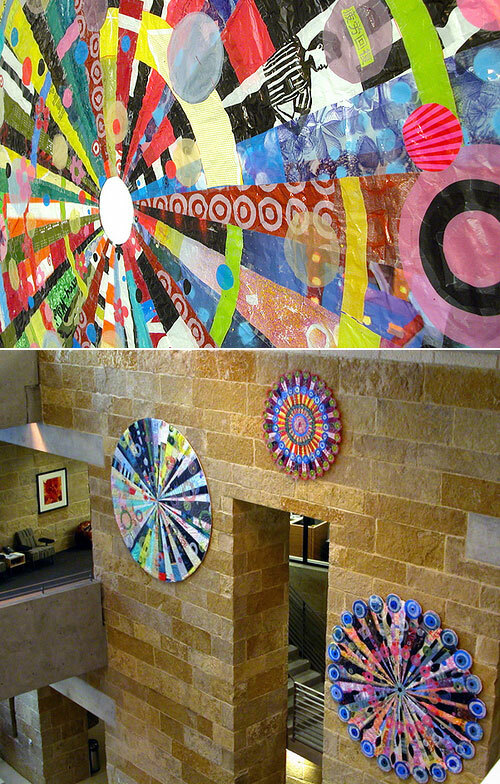 Artist Virgina Fleck takes re-use to a whole other level by creating these colorful mandalas from discarded plastic bags. 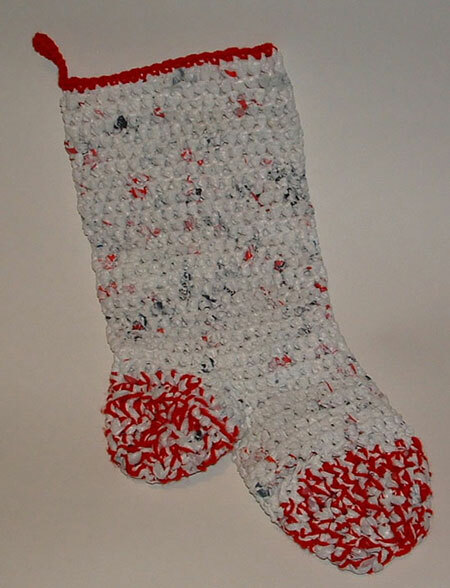 Found detail instruction of how to make this lovely plastic Christmas Stocking on designer’s page above. 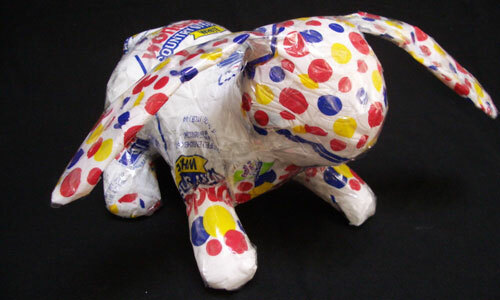 Created from old bangles found in thrift stores and used plastic bags by artist, Stephanie Huffaker. 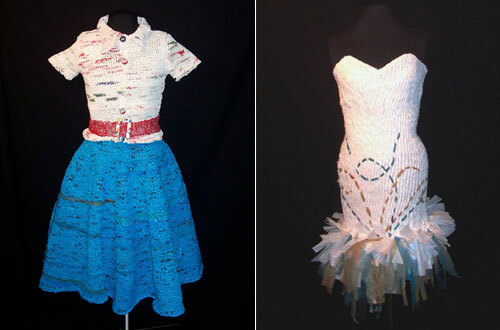 This funky textured look is created from wound up plastic bags. 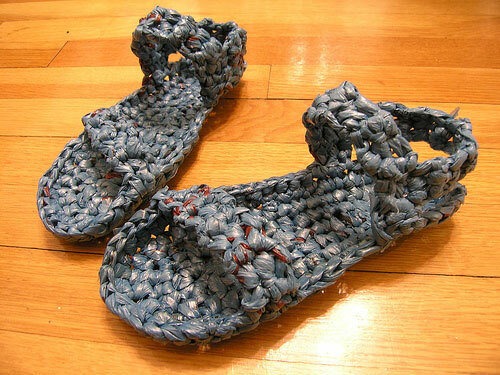 How original with a result that is oh so lovely …and eco-friendly, too! 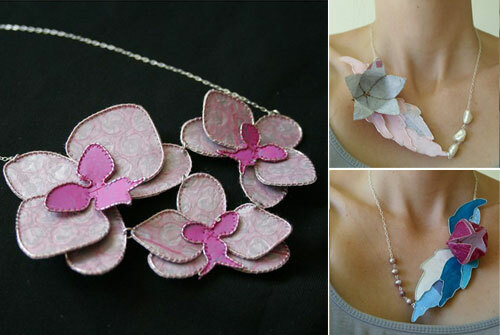 San Diego artist, Emily Grace, her designs are made from heat fused plastic which is then hand-stitched to wire and then combined with sterling silver chain and occasionally some vintage beads. 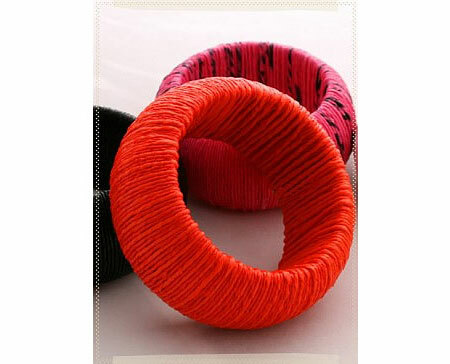 The pieces are soft and pliable and can be left lying flat or gently sculpted into a more three dimensional shape for special occasions or the perfect neckline. 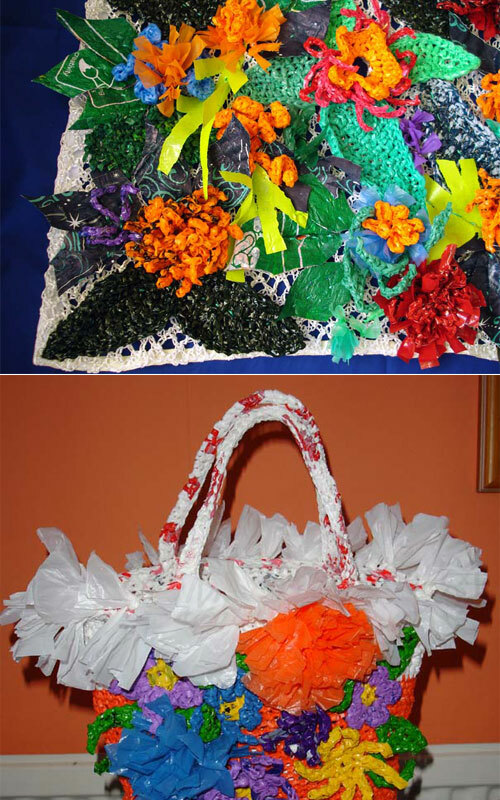 Very beautiful, I love recycling and this has given me an idea for the plastic bags at home, thank you. 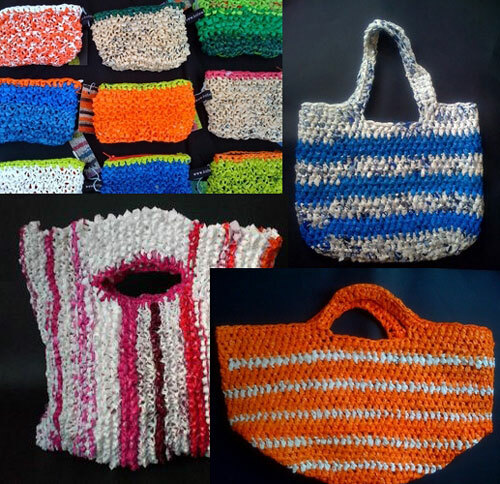 Don't know what to do with those platic shopping bags?